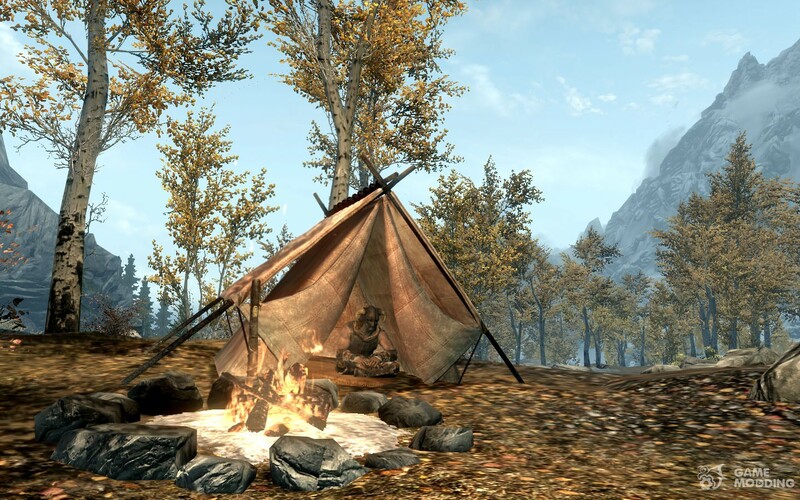 Campfire-advanced autonomous camp for Skyrim. Kindle a fire of little sparks and use it to prepare food in a pan (or make the grill directly over the fire), relax by the fire with your companions, or warm up in the fashion of Frostfall. Create and buy equipment for the campaign using items around you. Place the tents, tanning machine, portable Pentagram shower and much more. 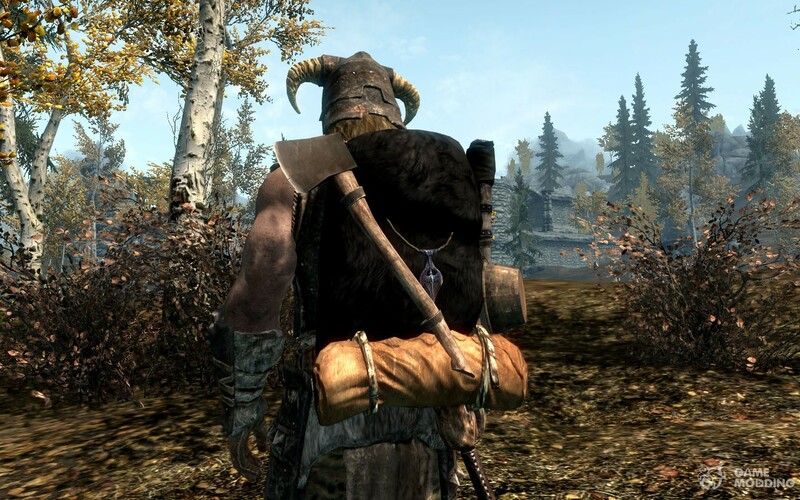 You can remove all loose items added mod, there are backpacks that dynamically display your sleeping bag, torch, a cooking pot, axe, flask. Get skills. In the fashion of the present autonomous system skills. Looking for a nearby area with suhostoem and branches. Use them to create an colun, arrows, and other useful items. Stalk prey using "Instincts" to see moving or publish noise creatures, nearby, or to effortlessly find Tinder for fire. Also, the Campfire is the basis for other mods, such as the Dig Site-Relic Hunter and Tents for Frostfall 3.0 and above and Last Seed. 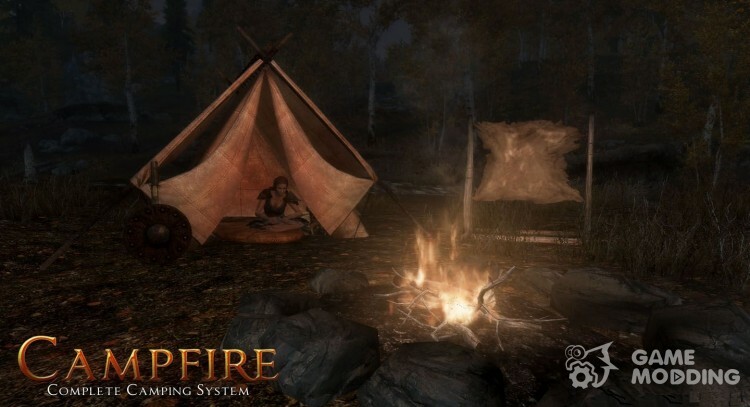 Campfire is the basis for the mods, you can easily create your own equipment without having to enter any code. You can distribute your creations as their own modifications. Visit the author's website for more detailed information, which includes a large number of benefits. * Reworked version of "rapid deployment the fire". -After installing the fire rings, you must click on the ring (as in option "Realistic mode" properties a campfire). Craft interface will allow you to build a bonfire in one step by hitting rocks or using magic fire (fuel choice and Tinder is skipped and you immediately have the Crackle of fire). -This allows users to quick mode properties Campfire camping skills or destroy, depending on their choice, as well as in the mode of "Realistic mode" properties. -This change also allows users to quick mode properties see the effects of the fire flaming Campfire (when hitting a stone etc.). Many players have written me that these effects are really exciting and that they could not see these effects when you select quick mode campfire. I hope that now this golden mean! * Fixed problem where fires could not be build under certain circumstances. * Fixed an issue where if you select campfire, the settings are not saved in the profile settings of the player. * Fixed problems that plagued other authors do all things with tools conceived Campfire Dev Kit.